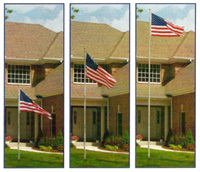 16' Telescopic Flagpole, Falls Flag & Banner Co.
Easy to use Telescopic Flagpole for your yard. No pulleys or rope. Click button in place and flagpole slides with easy installation of your flags. 16-guage aluminum with anodized finish. 10 year manufacturers warranty. 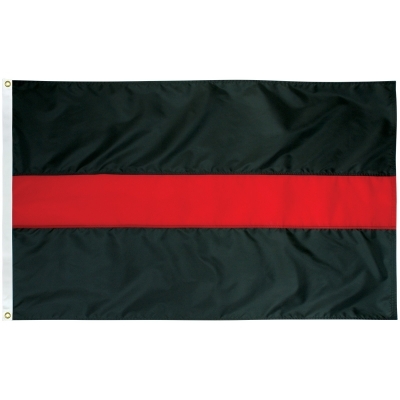 Includes 3'x5' sewn flag, 3'' aluminum ball and all hardware.